Absolute Insurance Agency is one of the most reputable life insurance agencies in Des Moines IA, Urbandale IA, West Des Moines IA, Clive IA, and the surrounding areas. 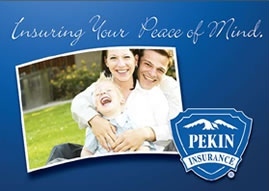 We offer numerous universal insurance policies and a range of life insurance policies that will effectively meet the needs of all customers. Having insurance on your toys, home, and autos is important, and your material things will be replaced in the event anything unforeseen should occur, but what happens if something happens to you? Will your spouse have to take on a second job while leaving your children to fend for themselves? Will the whole dynamics of your family change at a time that will already be highly emotional and stressful? 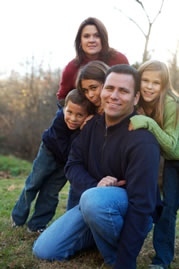 The best way to make sure that your family will be taken care of is to have a quality life insurance policy. A good whole life insurance, universal life insurance, or term insurance policy will ensure that their standard of living will be kept intact. We offer term, whole, universal, and guaranteed issue life insurance products that are available for some of the most competitive rates in the State of Iowa. We have multiple guaranteed insurance riders to ensure that your children have an appropriate amount of coverage, regardless of any future health concerns they may have. No medical exams are required for people under the age of 40. Benefit levels of up to $500,000 are available. If you opt for a universal life insurance policy, your money will grow and you will have the ability to borrow against it. We offer the option to allow you to convert your term life policy into a universal policy that will meet your needs. Contact us today to get further information, or to get a quote for insurance. We will be pleased to help.